Goldman Sachs (NYSE:GS) has once again cut its iron ore price forecast after its previous prediction was breached a year ahead of its expectations, as China’s slowdown forces the global industry into a long period of hibernation. The investment bank now sees prices for the steel-making ingredient staying under $40 a ton for at least the next three years, Sharecast reports. Goldman tips iron prices to fall to $38 in 2016 – down 13% from its previous call of $44. But the downward trend won’t stop there, the bank added, predicting prices of around $35 a ton in 2017 and 2018, down 14% from its previous estimate of $40. 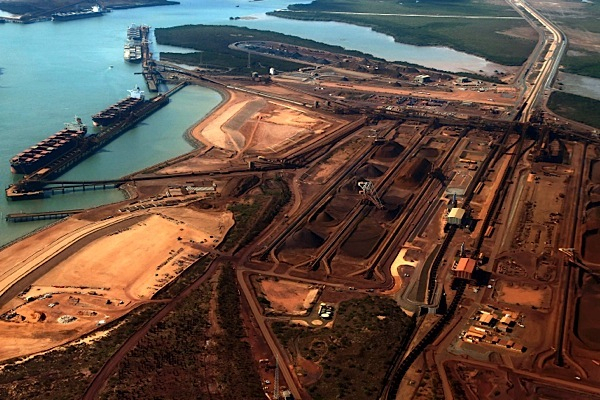 Long-term, the analysts expect iron ore to settle and remain at $34 a tonne. The investment bank, a key adviser to BHP Billiton (ASX:BHP), also downgraded its earnings estimates for the major global iron ore miners, adding it expects mine closures to accelerate in 2016 as the health of China’s steel industry deteriorates. The bank raised the prospect that by 2040, China’s iron ore demand will be half of what it is today, as steel consumption drops and more scrap gets used with greater recycling. “The iron ore sector may have to hibernate for an extended period before alternative steel markets in other regions take over from China and usher in the next bull market,” analysts Christian Lelong and Amber Cai wrote. If their prophecy proves true, it will all but spell the end of Western Australia’s terminally ill iron ore industry, sparing only giants BHP Billiton and Rio Tinto, while seriously testing Fortescue Metals Group and Roy Hill’s resilience. Iron ore delivered to China's Qingdao port recovered slightly on Thursday, trading at $39.43 a tonne, a nine-day high, according to the Metal Bulletin Index.